The Eklipse flipper is a design departure for Rick Hinderer and it really provides the user with an outstanding platform for an everyday carry folding knife. The knife features a tanto blade that is a workhorse blade shape with a strongly reinforced blade tip. The blade steel on this folding knife is CPM 20CV stainless steel. 20CV is known for its versatility and provides for well-rounded uses; providing toughness against chipping, longevity in edge holding and rust resistance. The blade is easily open thanks to its ambidextrous thumb lugs yet is easiest to open with its flipper extension. The handle design provides for a comfortable yet positive grip. 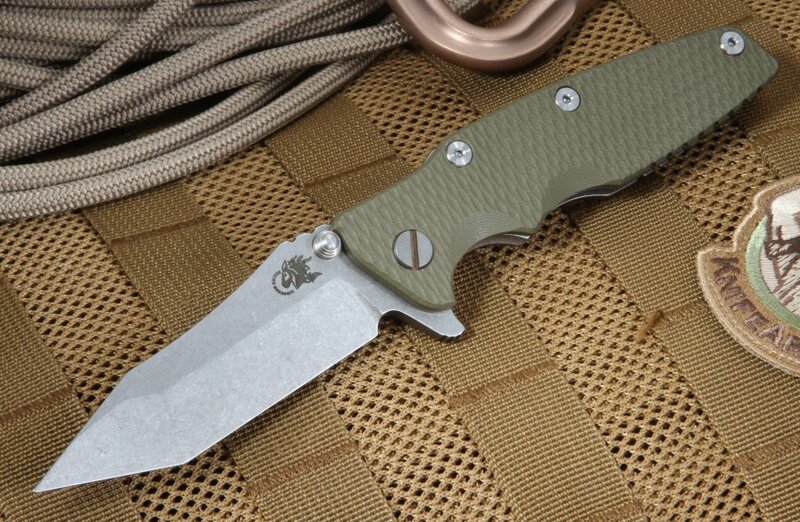 The frame lock on this knife features a Hinderer innovation, the lock bar overextender protector, keeping the lock in the proper range during operation. The full titanium handles are strong and stonewashed for a lifetime of rugged use and a strong lock-up. The titanium clip on this flipper can be reversed for tip-up or tip-down pocket carry.